Sister companies American Safari Cruises and InnerSea Discoveries have unveiled a sweepstakes contest on Facebook running through May 31. The winner will receive a complimentary cruise for two aboard the line’s 86-guest Safari Endeavour in Alaska this summer. Residents of the United States 18 and older may enter the contest online at InnerSea Discoveries/American Safari Cruises’ Facebook page. A winner will be chosen at random on June 1. The prize, valued at $11,190, includes one stateroom for two on a roundtrip Juneau cruise, with two days spent exploring Glacier Bay National Park. 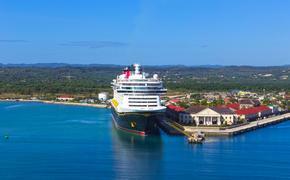 The cruise may be confirmed 45 days prior to departure and must be taken from June to August 2012 and is non-transferrable. Included in the cruise are gourmet meals, wine, beer and spirits, all from-the-boat activities, port fees and taxes, one massage per person, yoga, and transfers on day of embarkation and disembarkation. New to the fleet in 2012, the Safari Endeavour will be fresh from a major renovation project adding a wine bar, library, four suites with balconies, massage rooms and hot tubs. The inclusive cruise explores Icy Strait, Chichagof Island, Baranof Island, Frederick Sound, Thomas Bay, Ford’s Terror and Endicott Arm and spends two days exploring Glacier Bay. Activities include kayaking, hiking, stand up paddle boarding, whale watching, and skiff excursions to explore shoreline, seek out wildlife and see glaciers up close.